Kinaen ka na ba ng mga K-drama na napapanuod mo? lahat ng ginagawa mo, pinapanuod puro mga K-drama? 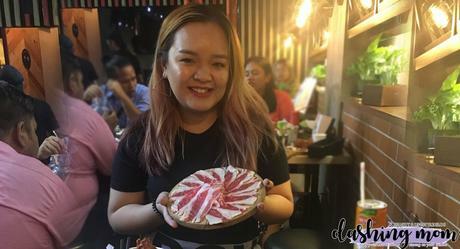 If yes, you might want to try this Korean inspired grill Oh My Samgyup. 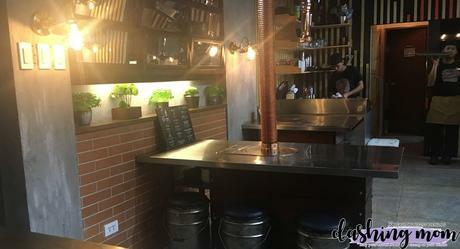 It is located at 139 Mother Ignacia Ave, Quezon City, Philippines. Serving hours 12:00pm - 1:00 am. 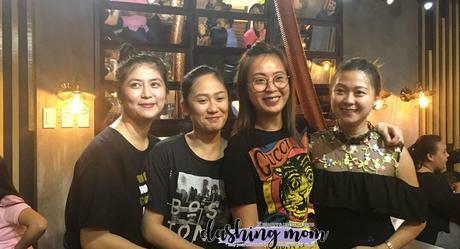 Oh My Samgyup is owned by 4 young ladies that formerly worked on a Korean company. The tradition was passed on them that is why they decided to put up a business like this. 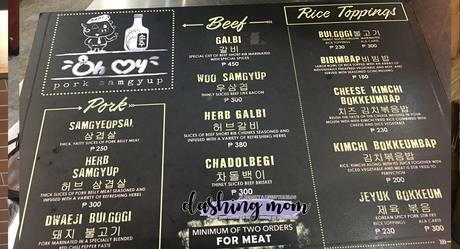 What's special at Oh My Samgyup? They have 2 floors that serve delicious food. 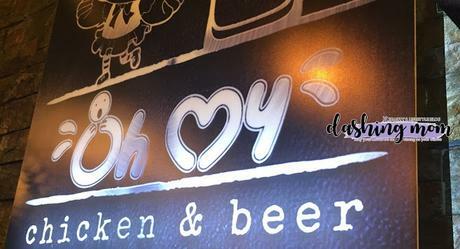 At the second floor, they have a store called Oh My Chicken and Beer which they serve lots of a la carte meals from snacks to dinner. They have Crispy Hawaiian Spam Sticks (250), Mozzarella Chicken Poppers (260) that are good for sharing if you can resist its taste. 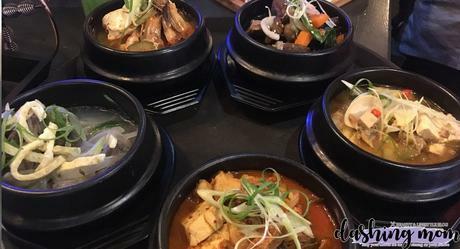 They also serve some authentic Korean noodles price ranges from 130 to 590. But the most exciting part of their store is on the first floor which was the Samgyupsal Korean grill. For my personal experience, their meat is far way different from the other Korean grills that I've tried like Lee Huk and Hwa ro-ro. Aside from that, they have different kinds of meat, each meat has a different flavor and juiciness when you eat them. Wait can we just first talk about the store interiors, a good store should have a good interior design so that while waiting for the order customers can take a picture of the store. 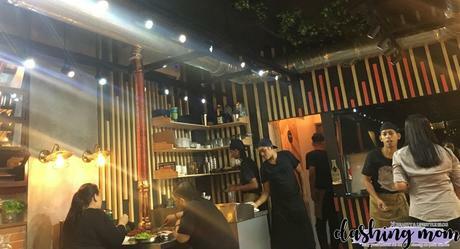 I like their interior that is different from the common Korean grills here at the Philippines. A dark minimalist with a touch of greens and silver. Their seat also catch my eyes because as you can see at the picture above they are unique. Let's go back again to their food. Upon entering the store waiters will assist you to your seat and hand you a menu you can choose from their a la carte or try their Unlimited Pork and Beef grill. As I said above, their meats have different taste and I think they marinate them to achieve that taste. 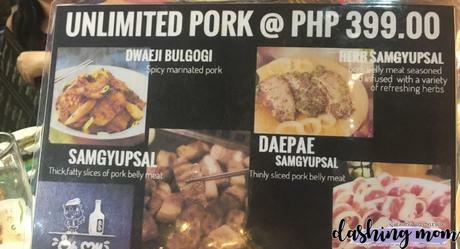 Unlike other Korean Grill that has the same taste in their pork and beef. 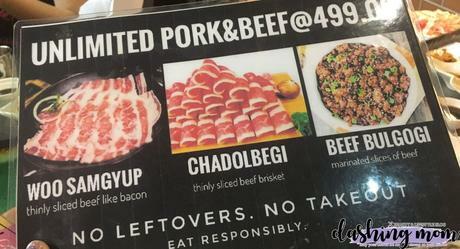 Oh My Samgyup makes sure that each meat slices has a distinguishing flavor in it. Once the customer bites it they will taste that delicious and juicy flavor. 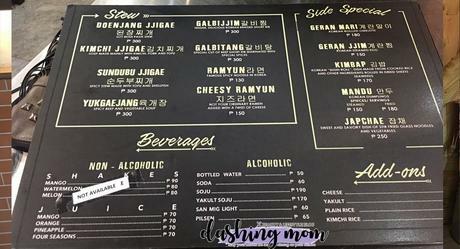 You can visit them Oh-My-Samgyup Chicken & Beer and Korean BBQ restaurant at 139 Mother Ignacia ave. Brgy. South Triangle Quezon City (front of ABS CBN ELJ Bldg). Visit their Facebook page at https://www.facebook.com/OhMySamgyupp/ for more updates and promos.